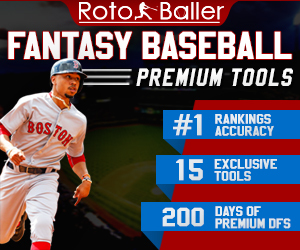 RotoBaller has assembled a list of daily MLB injury updates to help you prepare both your seasonal and daily fantasy baseball (DFS) lineups, every day of the MLB season. Below is our updated list of injured MLB players for April 15th, 2019. Only players on teams that are scheduled to play today will appear below on this list. 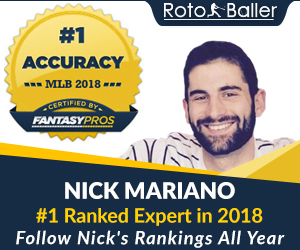 Understanding the injury landscape is key in all forms of fantasy baseball, especially when setting DFS lineups on sites like FanDuel and DraftKings. 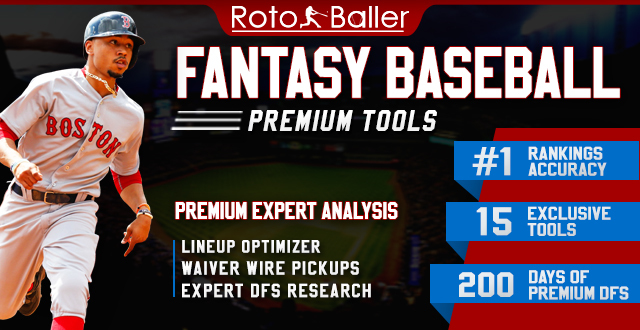 Consider this your one-stop overview of fantasy-relevant injuries around the MLB. Note: this post is automatically updated throughout the day, every five minutes, in case new injury updates are reported. Danny Duffy KC Out (Shoulder) CHW Away Duffy has been placed on the 10-day injured list with left shoulder tightness, and he is expected to be out until at least the latter part of April. Brian Flynn KC Out (Elbow) CHW Away Flynn is dealing with left elbow soreness and has been designated for the 10-day injured list. The club is aiming for him to return before the end of April. Salvador Perez KC Out (Elbow) CHW Away Perez has been placed on the 60-day injured list after having Tommy John surgery to correct the damage to the ulnar collateral ligament in his right elbow. He is expected to miss the entire 2019 season. Jesse Hahn KC Out (Elbow) CHW Away Hahn is on the 60-day injured list while recovering from surgery to repair the ulnar collateral ligament in his right elbow. He is not expected to return until sometime in June. Eric Skoglund KC Out (Suspension) CHW Away Skoglund has been issued an 80-game suspension for violating the league's stance on performance-enhancing drugs. He will be allowed to play June 26 against the Indians. Trevor Oaks KC Out (Hip) CHW Away Oaks underwent surgery to correct a torn labrum in his hip and was placed on the 60-day injured list. He is expected to miss at least four months of action. Jon Jay CHW Out (Hip) KC Home Jay is on the 10-day injured list due to soreness in his hip and back. He is likely to be held out of action until at least the latter part of April. Michael Kopech CHW Out (Elbow) KC Home Kopech is on the 60-day injured list while recovering from Tommy John surgery and is expected to miss the entire 2019 season. Andrew Heaney LAA Out (Elbow) TEX Away Heaney is sidelined with inflammation in his left elbow and has been placed on the 10-day injured list. He is expected to be out of commission until sometime in May. Tyler Skaggs LAA Out (Ankle) TEX Away Skaggs has been designated for the 10-day disabled list with a left ankle sprain and there is no timetable for recovery. Nick Tropeano LAA Out (Shoulder) TEX Away Tropeano is on the 10-day injured list after suffering a setback in his recovery from a right shoulder strain. It is anticipated that he will remain on the IL until the latter part of April. J.C. Ramirez LAA Out (Elbow) TEX Away Ramirez is on the 60-day injured list after having Tommy John surgery and is expected to be sidelined until the beginning of June. Keynan Middleton LAA Out (Elbow) TEX Away Middleton is on the 60-day injured list and is expected to be on the shelf until the early part of August after undergoing Tommy John surgery. Justin Upton LAA Out (Toe) TEX Away Upton has been diagnosed with turf toe and been placed on the 10-day disabled list. He is expected to miss eight to 12 weeks of action. Michael Hermosillo LAA Out (Hernia) TEX Away Hermosillo is on the 10-day injured list while recovering from surgery to repair a sports hernia and is not expected to return until at least the end of April. Shohei Ohtani LAA Out (Elbow) TEX Away Ohtani is on the 10-day injured list as he is healing from Tommy John surgery but is likely to make his season debut during the latter part of April. Edinson Volquez TEX Out (Elbow) LAA Home Volquez has been designated for the 60-day injured list due to a right elbow strain. He will be held out of action for four to six weeks. Rougned Odor TEX Out (Knee) LAA Home Odor is on the 10-day injured list with a right knee sprain. It is unclear when he will return to the lineup. Yohander Mendez TEX Out (Elbow) LAA Home Mendez has been transferred to the 60-day injured list with a right UCL strain. He is not expected to return until at least the end of June. Ronald Guzman TEX Out (Hamstring) LAA Home Guzman has been placed on the 10-day injured list with a right hamstring strain. He is expected to be held out of action until at least the end of April. Luke Farrell TEX Out (Jaw) LAA Home Farrell is on the 60-day injured list as he is recovering from surgery to repair a non-displaced fracture in his jaw. He is expected to be shut down until at least the end of May. Scott Heineman TEX Out (Shoulder) LAA Home Heineman is on the 60-day injured list and is expected to be sidelined until at least the beginning of May while recovering from labrum surgery on his left shoulder. Alex Wood CIN Out (Back) LAD Away Wood is on the 10-day injured list and is out of commission due to lower-back soreness. He will not be ready until at least sometime in May. Joey Votto CIN Questionable (Rest) LAD Away Votto is not expected to take part in Monday's game against the Dodgers due to a day of rest. Derek Dietrich CIN Questionable (Leg) LAD Away Dietrich left the last game after getting hit in the leg with a pitch, leaving his status for Monday's game against the Dodgers unclear. Scooter Gennett CIN Out (Groin) LAD Away Gennett is on the 10-day injured list with a severe right groin strain and will miss eight to 12 weeks of action. Sonny Gray CIN Questionable (Calf) LAD Away Gray exited his previous outing with a left calf contusion. It is unknown if he will make his next scheduled start on Wednesday against the Dodgers. Alex Blandino CIN Out (Knee) LAD Away Blandino is on the 10-day injured list as he is recovering from surgery to repair a torn MCL and ACL in his right knee. He is likely to be held out of action until at least the latter part of April. Tony Cingrani LAD Out (Shoulder) CIN Home Cingrani has soreness in his throwing shoulder and has been placed on the 10-day injured list. He is likely to make his season debut by the beginning of May. Hyun-Jin Ryu LAD Out (Groin) CIN Home Ryu has been designated for the 10-day injured list due to a left groin strain and is likely to be shelved until at least the end of April. Rich Hill LAD Out (Knee) CIN Home Hill is on the 10-day disabled list with a left knee medial collateral strain. He is expected to make his season debut toward the end of April. Russell Martin LAD Out (Back) CIN Home Martin has landed on the 10-day injured list with lower-back inflammation. A return date has yet to be established. Mark Trumbo BAL Out (Knee) BOS Away Trumbo has landed on the 60-day injured list while recovering from right knee surgery. He likely to be out of commission until at least the end of May. Alex Cobb BAL Out (Back) BOS Away Cobb is on the 10-day disabled list due to a lumbar strain and expected to remain out for roughly another week. Nate Karns BAL Out (Forearm) BOS Away Karns is on the 10-day injured list with a right forearm strain and is expected to be out of action until the end of April. Richard Bleier BAL Out (Shoulder) BOS Away Bleier is on the 10-day injured list with tendinitis in his left shoulder. He is expected to miss two weeks of action. Steven Wright BOS Out (Suspension) BAL Home Wright is serving an 80-game suspension for the use of performance-enhancing drugs. He is expected to be reinstated in time for June 23 against the Blue Jays. Brock Holt BOS Questionable (Eye) BAL Home Holt has been placed on the 10-day injured list with a scratched cornea in his right eye. It is undetermined if he will be activated prior to Friday's game against the Rays. Jackie Bradley Jr. BOS Questionable (Flu) BAL Home Bradley Jr. has missed the last two games with flu-like symptoms and it is uncertain if he will feel better in time for Tuesday's contest against the Yankees. Eduardo Nunez BOS Questionable (Back) BAL Home Nunuz has an upper-back injury and it is unknown if he will suit up Tuesday against the Yankees. Brian Johnson BOS Out (Elbow) BAL Home Johnson has been placed on the 10-day injured list with left elbow inflammation and will miss an extended length of time. Marco Hernandez BOS Out (Shoulder) BAL Home Hernandez has been designated for the 10-day injured list as he is healing from a shoulder surgery and is without a timetable for return. Andrew Benintendi BOS Questionable (Foot) BAL Home Benintendi missed the previous game with a right foot contusion, leaving his status unclear against the Yankees on Tuesday. Todd Frazier NYM Questionable (Oblique) PHI Away Frazier is dealing with a strained oblique muscle and is on the 10-day injured list. It is unknown if he will be activated in time for Monday's contest against the Phillies. Yoenis Cespedes NYM Out (Heel) PHI Away Cespedes is on the 10-day injured list as he is on the mend from surgery on both of his heels. He is unlikely to join the team until after the All-Star break. Jed Lowrie NYM Out (Knee) PHI Away Lowrie is on the 10-day injured list with a capsule sprain in his left knee will miss an undetermined length of time. Drew Smith NYM Out (Elbow) PHI Away Smith is on the 10-day injured list and is expected to miss the entire 2019 season after having Tommy John surgery on his right elbow. Tommy Hunter PHI Out (Forearm) NYM Home Hunter is sidelined with a Grade 1 flexor strain in his right forearm and is on the 10-day injured list. He is expected to be sidelined until at least the end of April. David Robertson PHI Out (Elbow) NYM Home Robertson has landed on the 10-day injured list and there is no timetable for return. Roman Quinn PHI Out (Oblique) NYM Home Quinn sustained a right oblique strain and has been placed on the 10-day injured list. He is likely to be debilitated until at least the latter part of April. Jon Lester CHC Out (Hamstring) MIA Away Lester is on the 10-day injured list with left hamstring tightness and is likely to be out of commission until at least the end of April. Kendall Graveman CHC Out (Elbow) MIA Away Graveman is on the 60-day injured list while recuperating from Tommy John surgery and is expected to miss the entire 2019 season. Brandon Morrow CHC Out (Elbow) MIA Away Morrow is on the 10-day injured list while recuperating from arthroscopic surgery on his right elbow during the offseason. He is expected to be sidelined until at least the beginning of May. Mike Montgomery CHC Questionable (Back) MIA Away Montgomery has been placed on the 10-day injured list with a left lat strain. It is undetermined if he will be activated in time for Friday's game against the Diamondbacks. Xavier Cedeno CHC Out (Wrist) MIA Away Cedeno has landed on the 10-day injured list with left wrist inflammation and will likely be out of action until at least the latter part of April. Addison Russell CHC Out (Suspension) MIA Away Russell is serving a 40-game suspension dating back to the 2018 season. He is likely to be reinstated in time for May 1 against the Mariners. Kyle Schwarber CHC Questionable (Rest) MIA Away Schwarber is not expected to play Monday against the Marlins due to a day of rest. Tony Barnette CHC Out (Shoulder) MIA Away Barnette is on the 10-day injured list with right shoulder soreness and is expected to be sidelined until at least the end of April. Victor Caratini CHC Out (Hand) MIA Away Caratini is on the 10-day injured list with a fractured hamate bone in his left hand. He is expected to miss at least four to six weeks of action. Jorge Alfaro MIA Out (Chest) CHC Home Alfaro is battling a tweaked chest muscle and will not play Monday against the Cubs. Garrett Cooper MIA Out (Calf) CHC Home Cooper has been designated for the 10-day injured list with a left calf strain and is likely to remain on the shelf until at least the end of April. Julian Fernandez MIA Out (Elbow) CHC Home Fernandez underwent Tommy John surgery and will likely be out of game action until the middle of July while on the 60-day injured list. Luke Gregerson STL Out (Shoulder) MIL Away Gregerson has landed on the 10-day injured list while healing from a right shoulder impingement. He is unlikely to return until at least the latter part of April. Carlos Martinez STL Out (Shoulder) MIL Away Martinez has been placed on the 10-day injured list with a right shoulder cuff strain and is expected to be idle until sometime in May. Brett Cecil STL Out (Hand) MIL Away Cecil has been transferred to the 60-day injured list due to left hand Carpal Tunnel syndrome and is expected to miss at least the first two months of the 2019 season. Harrison Bader STL Doubtful (Hamstring) MIL Away Bader is dealing with a tight hamstring that kept him out last game, and he is not expected to suit up Monday against the Brewers. Justin Williams STL Out (Finger) MIL Away Williams has been moved to the 10-day injured list due to a second metacarpal fracture on his right hand. A timetable for return has yet to be provided. Jesus Aguilar MIL Questionable (Rest) STL Home Agular is not expected to take part in Monday's game against the Cardinals due to a day of rest. Yasmani Grandal MIL Questionable (Rest) STL Home Grandal is unlikely to to be available against the Cardinals on Monday due to a routine day of rest. Jeremy Jeffress MIL Out (Shoulder) STL Home Jeffress is on the 10-day injured list with right shoulder weakness. He will not be activated in time for Monday's game against the Cardinals is unclear. Jimmy Nelson MIL Out (Shoulder) STL Home Nelson is on the 10-day injured list with a shoulder surgery and it likely to remain out of commission until at least the end of April. Ryan Braun MIL Questionable (Back) STL Home Bruan sat out the previous game due to a back injury and will not suit up against the Cardinals on Monday. Corey Knebel MIL Out (Elbow) STL Home Knebel has landed on the 10-day injured list after having Tommy John surgery and is expected to miss the entire 2019 season. Brent Suter MIL Out (Elbow) STL Home Suter is on the 60-day injured list while recovering from Tommy John surgery on his left elbow. The earliest that he is expected to return is the beginning of September. Bobby Wahl MIL Out (Knee) STL Home Wahl has been moved to the 60-day injured list after having surgery to repair a torn ACL in his right knee. David Phelps TOR Out (Elbow) MIN Away Phelps is on the 10-day injured list while healing from Tommy John surgery on his right elbow that caused him to miss the entire 2018 season. He is projected to return midway through the 2019 campaign. Dalton Pompey TOR Out (Concussion) MIN Away Pompey has been moved to the 60-day injured list due to a concussion and will miss an extended length of time. Clayton Richard TOR Out (Knee) MIN Away Richard has been designated for the 10-day injured list and is expected to be out until the end of April due to a stress reaction in his right knee. Ryan Tepera TOR Questionable (Elbow) MIN Away Tepera is tending to right elbow inflammation and has been placed on the 10-day injured list. He is likely to be activated in time for either Tuesday or Wednesday against the Twins. Devon Travis TOR Out (Knee) MIN Away Travis is on the 60-day injured list while recovering from surgery to repair a minor meniscus tear in his left knee. He is likely to be sidelined until at least the latter part of May. Ryan Borucki TOR Out (Elbow) MIN Away Borucki has been moved to the 60-day injured list hampered by left elbow soreness. He is expected to be out of commission until at least the end of May. Addison Reed MIN Out (Thumb) TOR Home Reed has landed on the 10-day injured list with a left thumb sprain and is likely to remain on the IL until at least the latter half in April. Miguel Sano MIN Out (Heel) TOR Home Sano has been placed on the 10-day injured list due to a debridement procedure to repair a laceration to his lower-right heel. He is expected to remain out of the lineup until sometime in May. Gabriel Moya MIN Out (Shoulder) TOR Home Moya has been designated for the 10-day injured list due to left shoulder tendinitis, and it is uncertain if he will come off the IL during the latter part of April. Danny Salazar CLE Out (Shoulder) SEA Away Salazar has been placed on the 60-day injured list while he recovers from arthroscopic right shoulder surgery. He is lining up for a return during the middle of May, provided no setbacks occur. Francisco Lindor CLE Questionable (Calf) SEA Away Lindor is on the 10-day injured list with a right calf strain and a sprained left ankle. It is undetermined if he will be activated during the upcoming the series against the Braves. Mike Clevinger CLE Out (Back) SEA Away Clevinger has been placed on the 60-day injured list due to an upper-back strain. He is expected to miss six to eight weeks of action. Bradley Zimmer CLE Out (Shoulder) SEA Away Zimmer has been placed on the 10-day injured list while recuperating from labrum surgery on his right shoulder. He is likely to be activated sometime in May. Wade LeBlanc SEA Out (Oblique) CLE Home LeBlanc is on the 10-day injured list with a strained right oblique. He is expected to be out four to six weeks. Kyle Seager SEA Out (Hand) CLE Home Seager has landed on the 60-day injured list after having surgery to correct the extensor tendon in his left hand and is projected to miss 10 to 12 weeks. Hunter Strickland SEA Out (Back) CLE Home Strickland has been moved to the 60-day injured list with a Grade 2 right lat strain and is likely to be on the shelf for at least two months. Chasen Bradford SEA Out (Shoulder) CLE Home Bradford has landed on the 10-day injured list due to right shoulder inflammation. He will miss an extended length of time. Sam Tuivailala SEA Out (Achilles) CLE Home Tuivailala is on the 10-day injured list while recovering from a torn right Achilles and is expected to be sidelined until at least the end of June. Gerson Bautista SEA Out (Pectoral) CLE Home Bautista has been designated for the 10-day injured list due to a pectoral strain but is projected to be held out of action until at least the end of April. Tyler Anderson COL Out (Knee) SD Away Anderson has been designated for the 10-day injured list with left knee inflammation and there is no timetable for recovery. Chris Rusin COL Out (Back) SD Away Rusin is on the 10-day injured list hampered by upper-back discomfort and is likely to remain shelved until at least the latter part of April. Chris Iannetta COL Out (Back) SD Away Iannetta has landed on the 10-day disabled list with a right lat strain and will miss an undetermined length of time. Daniel Murphy COL Out (Finger) SD Away Murphy suffered an avulsion fracture of the left index finger and has landed on the 10-day injured list. He is expected to be sidelined for up to six weeks of action. Jake McGee COL Out (Knee) SD Away McGee is on the 10-day injured list due to a left knee sprain and there is no timetable for return. David Dahl COL Probable (Abdominal) SD Away Dahl has been designated for the 10-day injured list due to a core injury in his lower abdomen but is likely to be activated in time for Friday's contest against the Phillies. Kyle Freeland COL Questionable (Finger) SD Away Freeland left his last start with a possible blister on his pitching hand. He is questionable for his next scheduled start Friday against the Rockies. Ryan McMahon COL Out (Elbow) SD Away McMahon has been placed on the 10-day injured list with a left elbow strain and there is currently no timetable for return. Garrett Richards SD Out (Elbow) COL Home Richards is on the 60-day injured list and is expected to miss the entire 2019 season while recuperating from Tommy John surgery. Aaron Loup SD Out (Elbow) COL Home Loup will miss an extended length of time while on the 10-day injured list with a left elbow strain. Travis Jankowski SD Out (Wrist) COL Home Jankowski has been placed on the 60-day injured list after opting to have surgery to repair a fractured left wrist. He is expected to be sidelined for two months. Jose Castillo SD Out (Forearm) COL Home Castillo is on the 60-day injured list with a left flexor strain. A definitive timetable for return has yet to be established. Franchy Cordero SD Out (Elbow) COL Home Cordero sustained a right elbow sprain and has been placed on the 10-day injured list without a timetable for return. Jacob Nix SD Out (Elbow) COL Home Nix has landed on the 10-day injured list due to a torn UCL in his right elbow and is in danger of missing the entire 2019 season. Dinelson Lamet SD Out (Elbow) COL Home Lamet has been placed on the 60-day injured list as he is healing from Tommy John surgery that caused him to sit out most of the 2018 campaign. He is likely to return midway through the 2019 season. Miguel Diaz SD Out (Knee) COL Home Diaz is on the 10-day injured list and is likely to miss six to eight weeks after having surgery to fix a torn lateral meniscus in his right knee. Brett Kennedy SD Out (Arm) COL Home Kennedy has been placed on the 10-day injured list with arm fatigue and is not expected to return until the latter part of April.